Have cool and great collages is not for everyone. 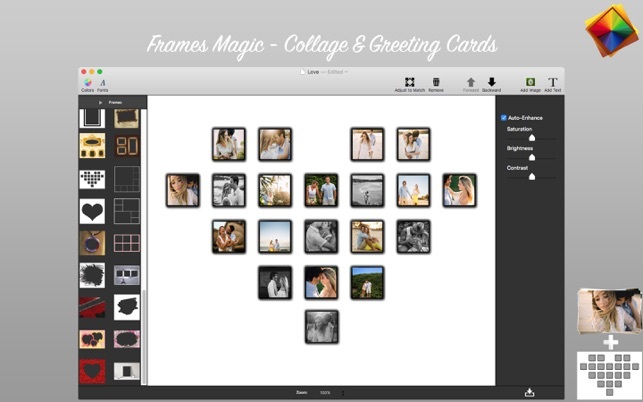 Frames Magic - Collage and Greeting Cards allows you to create awesome and cool pictures to post and share with your friends on social networks. 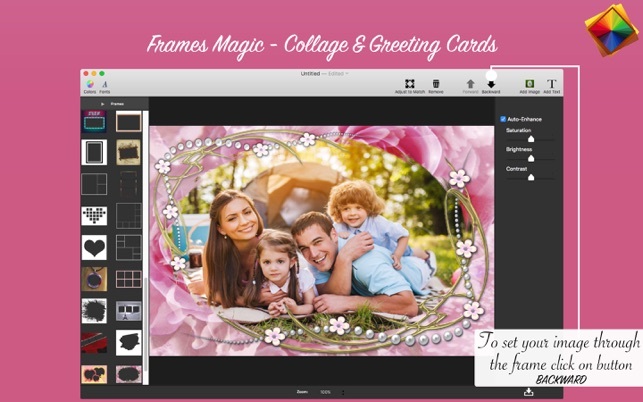 Frame Magic - Collage and Greetings Cards delivers you 50 incredible frames to combine your pictures and create beautiful and unique collages. 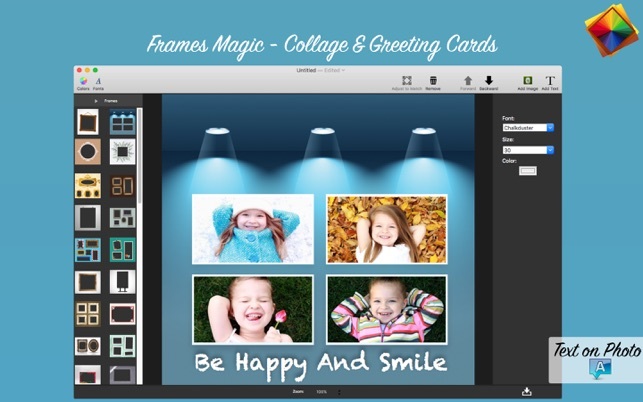 With a easy to use interface you can be your own designer and create, combine and have the best results. 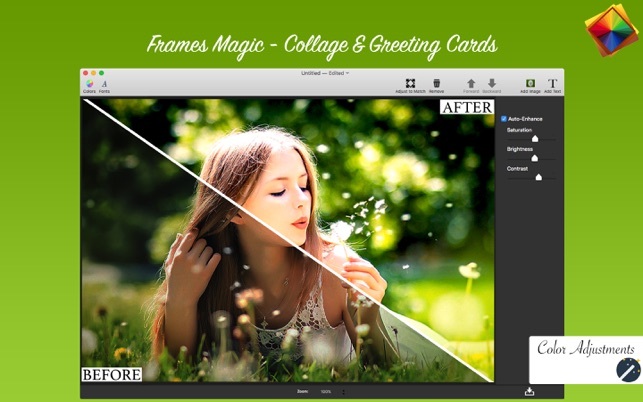 * Image Edition: Enhance the quality of your pictures using Auto Enhance, Saturation, Brightness and Contrast. 3. 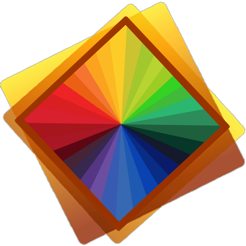 Adjust the settings like you want (Auto Enhance, Saturation, Brightness and Contrast). 4. Select the desired frame on the left panel. 5. 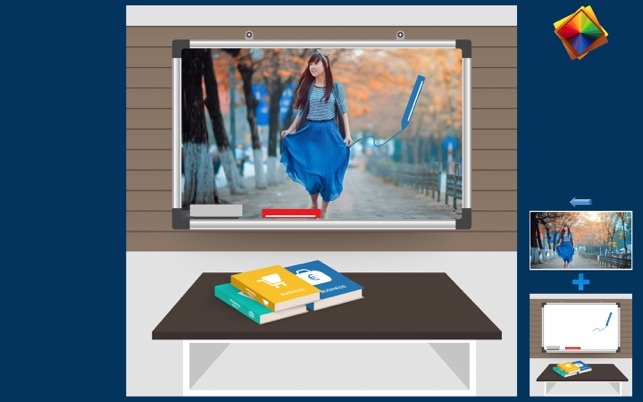 Select and adjust the desired image to set through the frame. 6. Clicking on the button on the menu or just with the right click use the Backward & Forward tool to set it through. 7. Click on Add Text to insert texts. 8. Export your image. Click on the button in the bottom corner of the right side.